CSAT: Many candidates, especially from non-science or non-engineering background fail to clear CSAT’s cutoff . Do not neglect this paper if your quant/maths is weak. Try some coaching institutes’ mock papers to judge your ability. Give 3 hours daily for CSAT if it is not prepared. if you are good at it and easily score 140+ marks in coaching’s mock in CSAT paper, you dont need to worry much. Dedicate this time to GS and but practice some mock in last 1 month. Polity: Read lakshmikant thoroughly (2-3 reading is necessary). focus on FR, DPSP, FD, judiciary, parliament. Clear understanding is necessary in this portion. You should be able to attempt 17–18 questions correctly from around 20 questions asked in the paper. Economics: Sriram’s economics notes for economy is sufficient. Need clear understanding of subject. Geography: One can use NCERT physical geography (new one) and Indian Geography (new). Map questions are always asked in paper so practice them a lot. You should know the mountains, rivers, national parks, etc of India. In world mapping, at least do south east Asia and middle east and central Asia. Focus on the capital cities, which country share boundary with which one and the relative position of countries. S&T and environment: read any coaching notes for static portion. Art and Culture refer nitin singhania notes/book. Current Affairs: Read from any coaching notes. Vision IAS current affair booklet is good for prelims. cover current affair of last one year. Multiple reading is required. Focus on the government schemes, economics and science and technology section. lots of questions from these areas are asked in exam. 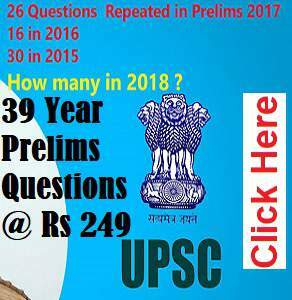 Question practice: Solve previous year questions of UPSC prelims. Some questions are repeated. The quality of questions are much better as compare to coaching institutes. At least do polity and history questions. 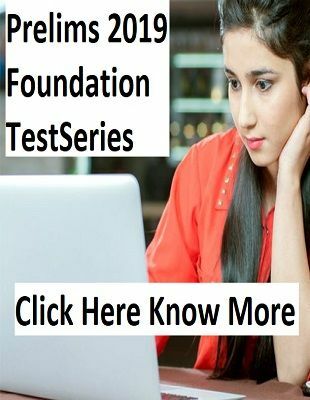 In last month see questions asked in mock test of various institute to get the idea of your preparation and to identify topics from current affair which you might have left. Do not solve lots of papers. They are often waste of time and gives frustration only. There are other areas as well like Ancient History and Medieval History. But questions from these topics are usually less and they also take lots of time to prepare. Its better to leave these topics. In the exam, try to minimize you mistakes. Do not go by other people’s strategy of attempting the paper. Make your own strategy. Remember, attempting more questions do not necessarily means more marks.